One of the promising trends emerging in management thought and practice is the turning of the corporate mind towards the poor and the problem of poverty. It is a significant event because it is a turning of the most powerful, influential and innovative organ of our modern age, which creates wealth for the society, towards one of the most challenging problems of humanity involving distribution of wealth. This confrontation can turn out to be a very creative one with beneficial results for the future of the world economy. This article examines the possibilities and potentialities of this engagement in the light of an integral vision of human development. At present, the battle against poverty was fought mainly by three categories of players. First is the national or regional governments and the government institutions. Second charitable organizations and donor agencies like the Rockfeller Foundation or the World Bank; third is the NGOs and social reformers like the SEWA in India. Most of the government programmes on poverty alleviation in Asia and Africa are dismal failures. Controlled by corrupt and mediocre politicians and stifled by a slow moving, stagnant and inefficient bureaucracy, the governmental apparatus has become more of a machinery than a living human organism, incapable of solving any challenging problems. The politician and the bureaucrat are not able to do much to solve the problem of poverty except shouting slogans and giving doles. NGOs and charitable organization are able to achieve better results in the poverty front because of a greater moral commitment and a more focused approach to the problem. But money and moral commitment alone are not sufficient for solving the problem of poverty. Many more factors are needed and one of the most important is the expertise in creation and distribution wealth. .
We cannot hope to solve the problem of poverty without building the capacity to create and distribute wealth in the poor. And who else is better equipped to do this task than business, the natural creator of wealth for the society? Here comes the importance of involving business, in the task of eradicating poverty. Let us now examine some of the innovative ideas emerging in the corporate mind for tackling the problem of poverty. The third approach is the concept of “socially conscious enterprise” of Mohammad Younus, Noble Laureate of Peace and he founder of Grameen bank. Younus Ahmed is well-known for his highly successful micro-credit experiment and enterprise. However, in his autobiography, he spells out a blue-print for poverty-eradication based on his Grameen experience. According to Younus there are three category of entrepreneurs. The first type is the exclusively profit-oriented with no social concerns. On the other side, is the one with a strong social conscience who tries to run his business with a predominant social purpose. The third is the one who mixes profit-orientation with social concerns. The most effective way to tackle poverty is to actively promote and encourage the last two categories of socially conscious enterpreneur through appropriate incentives. The founder of the Grameen bank, spells out the ideals of a socially conscious enterprise, when he outlines what he calls as the Grameen philosophy. Let us now examine some of the positive features of these three business-oriented approach to poverty-eradication. One of the oft-repeated criticisms against globalization is that it has benefited only the rich and excluded the poor. Prahlad provides an alternative model of “inclusive globalization” by which the benefits of globalization can reach the poor. The author seems to suggest that it is possible to harness the potentialities globalization, market-forces and technology for the benefit of the poor and create a new form of “inclusive capitalism” which links the rich and the poor, big business and the BOP segment in a mutually beneficial “win-win” cycle of development. The other perceptive feature of Prahlad’s vision is that it envisages a close co-operation or “co-creation” between the various players involved in the task of poverty alleviation like the NGO, business, donor agencies and the local or national government. This may not be easy to achieve because most of the NGO’s view big business with suspicion and mistrust. Such an attitude is to a certain extent justified when we look at the past history of big business in its attitude to the poor and the environment, which is much to be desired. As long as the dominant attitude of big business to the poor is selfish and exploitative or pretending to be benevolent but with an ulterior motive, then NGO’s hostile and suspicious postures against big business is not altogether unjustified. We can even say that NGO activism and its vigilant, critical and militant attitude to big business had helped in checking the rapacity of the rogues in the corporate world. But at present great winds of change are blowing over the corporate life. Business ethics is one of the seriously debated subjects in the corporate world and in B-Schools. The concept of corporate social responsibility is on the threshold of becoming one of the dominant values of business. So NGO’s should not cling to the prototypal thinking that all big business is an evil monster bent on exploiting the poor. When there is a positive change in the corporate world and a sincere commitment to the poor, then NGO’s have to collaborate, even while keeping a vigilant eye and a long-term perspective on the impact of the activities of business on the lives of the poor, especially in the domains of environment and culture. In fact co-creative interaction between the NGO and big business can lead to much mutual benefit and learning, if both display sufficient maturity to understand each other’s perspectives and interests. NGOs can learn a lot from the professionalism and the managerial and technical capabilities of big business. And big business can learn much from the humanistic, environmental and cultural sensibilities of the NGO. We are of course, talking about the genuine and sincere NGO, not those who spend most of the time and energy in fattening their treasure-chest with donations and maintaining a lavish life-style for their executives rather than on serving the poor and the down-trodden. So Prahlad is perfectly right when he asserts that the battle against poverty cannot be won without a close co-operation or “co-creation” between the various player involved in the task, like the NGO, Business, Government and most importantly the ultimate beneficiary, the poor themselves. Here comes another important factor in Prahlad’s idea. It aims at an active involvement of the poor in their own redemption and creating entrepreneurs among the poor. The Development Corporation organized by business and run on business-lines need not necessarily be global. It can also be national or regional. And the national or local business associations can play a catalytic role in organizing such corporations. An example of such a regional development corporation, mentioned by Professor Lodge in his article is the Latin American Agribusiness Development Corporation (LAADC) made of 16 major finance and agribusiness companies which helped establish and promote hundreds of agribusiness enterprises run by BOP communities. Another important factor to be noted here is that the involvement of big business in rural development programmes can rectify a major defect, which has crept into the theory and practice of the rural development movement. From the ancient to modern times, village development was based on the concept of local self-sufficiency. Though this approach has certain advantages in terms of preserving the culture and the natural environment, it shuts off the village community from the changing world-environment and as a result became a source of stagnation and decay. In a world governed by the laws of interdependence, connectivity and rapid change, the best strategy for sustainable development is not local self-sufficiency but a dynamic equilibrium with the changing global environment, which means, creatively assimilating the changes and influences of the surrounding global environment to unique needs of the local environment. The path of local self-sufficiency creates a closed system subject to the laws of entropy. On the other hand, the path of dynamic equilibrium through open interaction and interchange with the surrounding environment creates in the collective human organism the capacity to grow in harmony with the evolving world. Modern business, especially the global business, mostly pursued the strategy of dynamic equilibrium. And involvement of business in the development of rural communities, can impart some of its adaptive resilience to the community. The third approach, Grameen Philosophy of Younus, has the advantage of combining profit-orientation with moral commitment to the eradication of poverty and a long-term vision or hope of a world free from poverty. Both these factors are needed for poverty alleviation. The Profit-motive is necessary for the economic sustainability and moral commitment and vision for sustained motivation. We will return to this subject again a little later. We have discussed so far the main strengths of the business-oriented approach to poverty alleviation. Let us now examine some of its limitations. The main limitation of the first two approaches of Prahlad and Lodge is the lack of a deeper moral and spiritual perspective. We cannot say that their ideas are entirely lacking in the moral element. For every idea or activity which shows a genuine concern for poor is moral. What is lacking here is a long-term moral commitment to the poor. The concept is more pragmatic than moral. As Prahlad himself states “This book is concerned about what works. This is not a debate about who is right” (Preface XII). According to Prahlad poverty-reduction has to become an integral part of the business strategy. The BOP market writes Prahlad “must become an integral part of the work of the private sector. They must become part of the firm’s core businesses. They can not be merely related to the realm of corporate social responsibility initiatives”. This is undoubtedly a better approach than signing a cheque of charity or taking up social responsibility projects as a minor or secondary or fringe activity either to appease a troubling conscience or because it is the latest fad in business. But the question is can a complex and difficult effort like poverty-alleviation be sustained without a firm moral commitment? If due to some changed circumstances or difficulties in the business environment, the BOP segment becomes temporarily unprofitable, then the worthy idea and the project have to be shelved by business? “Here we believe strongly in three things, decentralization, managing the long-term and the ethical principles embodied in the credo. Credo is the sort of things that inspires the best in people. I think that all of us have a basic moral imperative hidden somewhere in us. In some people it is more central to their being, but its always there. To that well-spring creates energy that you can’t get anywhere.” (Burke.J, 1986). The second factor is the rationale behind the concept of corporate social responsibility. An institution which creates wealth has a moral responsibility to ensure that the wealth it creates is equitably distributed in the society. The third factor is civilisational. The eminent historian Arnold Toynbee perceived that every human civilization is presented by Nature with certain challenges and the future of the civilization depends on how it tackles these challenges Poverty and inequality is perhaps one of the challenges thrown by Nature to our modern civilization. And here again business has a moral responsibility to take up the challenge not only because the problem or challenge is closely related the social function of business as the creator of wealth, but also because business is better equipped than other social organs in terms of resources and skill for dealing with the problem. So global business has to consider poverty-eradication as its global responsibility to humanity, commit itself to the task with or without profit and persist in it inspite of temporary difficulties and failures. The corporate world of business as a whole should have a long term moral and spiritual vision for creating a beautiful, harmonious and equitable economic order, in which poverty is eliminated at its roots. Every business organization, individually or in collaboration with other organizations, each one according to their capacity, can contribute something to the progressive realization of this vision, smaller organizations can work at the level of the local community in which they function and the bigger organization can contribute at the national and global level. For example, global business may create a global framework for promoting creative research and thinking on all problems and issues related to poverty and creation or distribution of wealth among the poor. The other limitations of the Prahalad’s model is the narrow and limited view of the poor as a consumer of goods and services. And the poverty alleviation is viewed in terms of enhancing the “consuming capacity” of the poor and make them consume more and more of the goods and services offered by business. The goal or ideal to be achieved is to uplift the economic condition of the BOP population from the status of the poor to that of the middle class. This approach, as the many examples given in the book by Prahlad indicate, might have benefited the poor. But a broader vision of the development process and its beneficiaries, in which poverty alleviation and profit come as natural by-products of greater aims of development, may perhaps yield better and more qualitatively superior results. The Grameen philosophy of Younus Mohammad presents a broader vision of the development process. However an exclusive focus on poverty alleviation may restrict the resources and potentialities of the organization. It may also prevent the eye of vision from looking beyond poverty-eradication to the higher aims of development. For elimination of poverty cannot be the highest goal of development. There are other and higher goals like integral well-being or integral development of the human potential in all the dimensions of human life—individual and collective, material, ecological, psychological and spiritual. Poverty-eradication can only be a stage in the evolution of human life towards these higher goals. We may have to focus predominantly on poverty-eradication at a certain stage of development or in some communities or nations, if that is the most pressing need of the stage or the society. But, even while doing it, we have to prepare the community simultaneously, mentally by education and vitally by creating the required infrastructure, for the higher stages and aims of development. For example we have to think about how to manage the growing prosperity, which emerges from the progressive elimination of poverty. We have to ensure that this new found prosperity does not lead to ecological, social or cultural deprivation. This requires a more integral vision of human development. A total human development process which leads to the integral development of the human potential in a community, is made of three stages. These stages can be pursued simultaneously, but with a prodimant emphasis on some aspects or dimensions of development at each stage. The first stage involves fulfillment of the basic needs of the population; creation of employment opportunities and development of employable, productive and entrepreneurial skills in people; satisfaction of the desire for a better enjoyment of life and also better utilization of the opportunities of life; and finally creation of all other factors which lead to an overall material and economic wellbeing of the community like for example health, hygiene, nutrition and ecology. Second stage is the realization of the social, cultural, political well-being which involves the actualization of the triple values of French revolution, liberty, equality and fraternity in the outer life and preservation of all that is valuable in the local culture. Liberty means not merely individual rights but a free participation of the people in their own development, especially in decision making, with maximum freedom to grow from within through a self-directed development and minimum of external rules or compulsion. Equality means equitable distribution of or access to wealth, power, knowledge, resources, opportunities and an equal, full and joyous participation of each individual in the communal life. Fraternity means social cohesion, solidarity, harmony and comradeship. Third stage is the mental, moral, aesthetic and spiritual development of the community. One of the major aims of this third stage of development is to fully internalize the triple values of French revolution in the mind, heart and soul of the people so that the outer, civic liberty, equality or fraternity becomes a spontaneous expression and organization of the inner liberty, equality and fraternity, firmly established in the consciousness of the community. As the outer needs of the body and life are reasonably fulfilled the predominant thrust of development has to shift from economics, politics or external machinery to the awakening and fulfillment of the deeper, higher and inner needs of the mind, heart and soul through education and human resources development. The execution of this integral vision of development requires a network of institutions and organization working together in close co-operation for the total development of the community. The main players would be government organizations, NGOs, donor agencies, business, local institutions which represent the will, voice and wisdom of the people and other organizations which have specific expertise in dealing with the various stages or aspects of development. The administrative organ which governs the development process should contain representatives from all these institutions. Management of the development process requires an apex body which draws the strategic plans and goals, co-ordinates and monitors the activities of the various institutions and directs them to the targeted goals. Each institution involved in the development process, especially its leaders and managers, should have a clear perception and understanding of the integral vision and its specific role in it, even while focusing its attention and effort on some aspects, domains or tasks of development. The function of business in this scheme would be in general to provide products and services which correspond to the progressive and evolving human needs, and in the process earn profit for itself, create wealth for the society and help the community to grow. The intrinsic function or dharma of business is to fulfill the material and economic needs of the community and strive for a constant and continuous improvement in the quality and well being of the material and economic life of the group. However, as the community evolves and progresses beyond the initial stages of economic development to the higher stages of social, cultural and psychological development, business has to adopt itself to this growth and has to provide products and services which correspond to the needs of these higher stages of growth. Modern corporate culture dominated by global business creates a multiplicity of wants and desires in the same physical-vital level like for example a new model of car or TV. But an integral human development process requires awakening people progressively from lower to higher level needs, motives and values, which means from the physical to vital, vital to mental and from the mental to spiritual. To do this, once the lower levels needs are reasonably satisfied, the predominant focus and priority of development has to shift to the awakening and fulfillment of higher level needs. But remaining at the same physical-vital level and endlessly multiplying its wants and desires prevent this progressive evolution. This integral vision of development requires an equally integral vision of the people or beneficiaries of development. They have to be viewed not merely as consumers of goods and services and as parts of a corporate ecology, but as human beings with a body, mind and soul living as integral parts of the economic, social, cultural and natural ecology. Here comes an important issue which is a subject of much debate; the impact of globalization or global business on the local community, especially the BOP community. Involvement of global business in the development of the local or BOP community will bring, along with the products and services like cell phone, TV or branded products, the values and life-styles of a different culture. This is already happening in many of the villages and small towns in Asia and India, even without any direct involvement of business in the development of the communities. As a columnist in an Indian daily laments; “globalization, rapid urbanisation and growing influence of the media are leading to such radical changes, we wonder whether there will be villages at all in the future”. This process and its impact, will get accelerated when global business gets actively involved in a large scale in the development of the BOP community. The impact of this phenomenon, especially on the social, cultural and environmental landscape of the community has to be studied objectively and scientifically without any preconceived notions. The negative aspect of the impact has been brought out forcefully by many anti-globalisation activists. It undermines the local culture and cultural diversity and tends to impose a westernized, urban monoculture of the corporate yuppies on the local community. It induces in the local population, especially among the youth, questionable desires, values and life-styles of the urban rich. There is much truth in this criticism. For example, the village community in premodern India made of simplicity and innocence, clean air and open space, social cohesion and intimacy, contact with nature, relaxed and unhurried pace of life and respect for the traditional, social, cultural and spiritual values are not entirely out of date. There are many positive elements in it, which are favourable to the inner and higher evolution of humanity. So this traditional village eco-system, culture and life-styles should not be allowed to be destroyed by the onslaught of the globalised corporate culture. It has to be preserved in some parts of the world and in every nation. But the ideal solution would be a creative synthesis of the global and the local, urban and the rural cultures retaining and combining the best in them. But this is easier to state in words but difficult to achieve in practice. However, we have to slowly progress towards this ideal through a process of experimental evolution and learning by trial and error. But the impact of business on the BOP community need not always be negative as most of the NGOs and environmental groups think. It can also be positive. We have already discussed some of the advantage of having business as one of the major players in our battle against poverty. Business can bring into BOP community not only more material sources like money but more importantly psychological resources like a greater vital and mental energy. The market-oriented approach to poverty-eradication, which we are discussing so far, seems to think that poverty is entirely an economic problem, which can be solved by economic or business methods. It tends to ignore the deeper, moral and psychological factors behind poverty and prosperity. However, there is at present an increasing recognition of the importance of psychological factors like knowledge, ideas and values in economic development. We have mentioned in our earlier issue how business can bring a greater vital and mental energy into the BOP community. One of the inner psychological causes of poverty and the low economic status of many of the BOP community in Asia or Africa is due to lack of vitality and a progressive mind. In many of these communities, people are resigned to the status quo and satisfied with their bare earthly needs, without any desire for progress and expansion beyond the predominantly physical status of their life. This is not a desirable condition for the higher evolution of the community. Fulfillment of the basic needs of the body is the first and the most elemental need of development. If this fulfillment of the basic material needs is used as a base for turning the energies of people to their spiritual development, then it is helpful for higher evolution. This is one of the principles of organization in all spiritual communities. But a village is not a spiritual community made of spiritual seekers. It is a community made of the average human mass. And for the average human being, the spiritual awakening comes only after their physical, vital and mental needs are reasonably satisfied. So when the physical needs of the people are reasonably fulfilled, they have to be awakened to their vital and mental needs which will propel them to the next higher stage in evolution. The vital desire for wealth, power, enjoyment, status, recognition, achievement and expansion, needs of the pragmatic mind for a better and a more efficient and productive management of life and that of the thinking mid for knowledge are the engines of progress, vital vigour and prosperity in the outer life. They should not be killed or suppressed in an ascetic spirit, but have to be carefully harnessed for the evolution of the community from the physical to the vital and mental consciousness and life. Here comes the utility and importance of business in the development of the BOP community. Active involvement of global business in community development can bring the vital and mental energy needed to steer this first step in collective evolution from the physical to the next stage. However, this evolution in the vital and mental dimension, if it is not controlled, guided and sublimated by the higher values of the ethical, aesthetic, ideal or the spiritual mind may lead to unbridled greed and violence. Here comes the moral and spiritual causes of poverty. There is a lower element in human nature which is full of greed, selfishness and violence, with a strong urge for exploitation of others for its own self-interest or even if these darker elements are not prominent, there is the indifference and apathy to the plight of others. In most human beings, this lower part of human nature seems to increase and dominate the consciousness as the individual climbs the ladder of power and wealth. When the ruling sections or the “power elite” of a community, who possess, control, allocate or manage wealth resource, knowledge or power or who take or execute major decisions live predominantly in this lower nature, then most of the resources or benefits of development will be mopped up by this minority, while the majority are left high and dry in a state of deprivation or poverty. And this is one of the moral causes of poverty and equality. Some of the modern thought in the west consider this lower part of human nature as the whole of or the dominant element in the human organism. But the ancient eastern philosophies viewed this darker side of human nature as only a part and a lower part of the human being. There is a higher part of human nature made of the ethical, aesthetic and ideal mind and the spiritual source of our being beyond the mind. This higher nature in man is the source of the nobler values in humanity like truth, beauty, goodness, kindness, compassion, charity and when it is fully awakened and becomes sufficiently strong can effectively combat the lower nature and can even transform it. We have perhaps in our modern age sufficient material, monetary, managerial and technological resources to create wealth for the whole humanity but don’t have enough moral and spiritual resources for an effective distribution of wealth, which will eliminate poverty. As the eminent environmentalist Lester Brown points out: “modern man has excelled in production and failed in distribution”. (Broom.L) External factors like efficient distribution channels, effective laws and enforcement mechanisms, government policy in favour of the poor are undoubtedly helpful in creating a material environment favourable to the growth of equity in the outer life. But a more permanent solution to the problem of equity and poverty lies in creating a psychological environment with sufficient moral and spiritual resources which will lead to a willing and spontaneous redistribution of wealth in the society. In the long term, these inner resources can be created only by a new system of education with an emphasis on the awakening of the higher nature in man and the moral, psychological and spiritual development of the individual. Meanwhile, in the short term, every idea, innovation, or activity which helps in uplifting the living condition of the poor in the economic, social, political or cultural domains can be considered as a moral resource. The ideas we have discussed in this article are mental and moral resource. Similarly, the concept of corporate social responsibility which is gaining increasing acceptance among the business community is a moral resource. Such ideas have to be consciously promoted, experimented and researched and their full implications and potentialities have to be deeply thought out and implemented. There is an interesting psychological theory in ancient Indian thought which can perhaps help us in arriving at a deeper and more lasting solution to some of the economic problems like inequality, poverty and unemployment. It is the concept of psychological organization of the human resources. Most of the modern management thinking aims at an efficient and productive outer organization of the resources. But for a more effective organization, there has to be an equally efficient inner organization of the psychological resources of the community. The ancient Indian social thought and practice tried to achieve this inner organization by providing each individual with an outer occupation which is harmony with his or her inner psychological temperament and capacities. But in ancient India, this concept degenerated in practice into a stagnant rigid and oppressive caste system because the occupation is forcefully imposed on the individual based on birth and hereditary and social compulsion. If we can replace this principle of birth, hereditary and compulsion with the principle of free self-discovery then this ancient Indian idea can still offer a viable psychological complement to outer organization. This means, creating a new system of education, motivation and human development strategies which provides each individual with whatever help, guidance and opportunities required for discovering his own unique inner aptitudes, inclinations, talents and capacities and express them freely in the outer life. Another factor, which has to be kept in mind, which was ignored in the Indian idea, is that a human being is an evolving organism and therefore human nature is not something fixed and rigid. As we evolve and progress inwardly and outwardly new faculties, inclinations and motives emerge and the outer organization has to be flexible enough to accommodate and express this progressive evolution of the individual. If we can implement this freer and more flexible and progressive version of the Indian idea in education, administration, organization and other developmental activities, it will lead to an efficient and equitable distribution of the psychological resources of the community. This in turn will have its beneficial impact on the economic and social life in terms of equity, employment and income. But this is a long-term solution which can not be immediately actualized. But we can prepare our inner and outer life for this ultimate solution through education, thought and culture. First of all, the thinking mind and emotional being of man have to be awakened to these laws of unity through education. And the pragmatic implications of this law for action, behaviour and decision making in the economic, social, political and cultural life of the race, have to be extensively researched and debated and whatever consensus we can arrive has to be institutionalized. We have to evolve an inner discipline by which each individual can discover and experience this inner unity in the depth of his heart and this discipline has to become an integral part of education. If we can develop and establish this culture of unity in the consciousness of humanity, then we will be creating a precious inner resources and a psychological environment in which all our inner and outer problems will find their permanent solution. Burke.S. James, (1986) ed. Thomas.R.Horton, What Works For Me, NewYork, Rando House Business Division, pp13-37. Younus, Muhammad,(1998) Banker to the Poor, Dhaka, The University Press, pp.213-221. My wife and i felt absolutely tehillrd that Raymond managed to deal with his basic research through the ideas he was given in your web pages. It is now and again perplexing to just possibly be offering key points which usually men and women have been making money from. So we realize we need the blog owner to thank for that. The main illustrations you made, the straightforward blog menu, the friendships you can help promote it’s got many extraordinary, and it’s really helping our son and our family reason why the theme is thrilling, and that’s pretty mandatory. Thanks for everything! 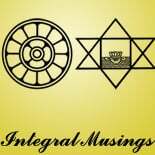 This entry was posted on October 16, 2012 by integralmusings in Integral Management.